Paul Vallas ran as a 2002 Democratic gubernatorial candidate and was the 2014 Lieutenant Governor candidate alongside then Democratic incumbent Illinois Gov. Pat Quinn. He previously served as the CEO of Chicago Public Schools ( CPS ), among other education leadership positions and spent time as a teacher after college. In 1979, Vallas began working for the state legislature and for state Sen. Dawn Clarke Netsch for 12 years; during that time, he learned about budgeting, finance and public policy. He served as Chicago’s budget director and revenue director during Mayor Richard M. Daley’s tenure before becoming CPS’s CEO. 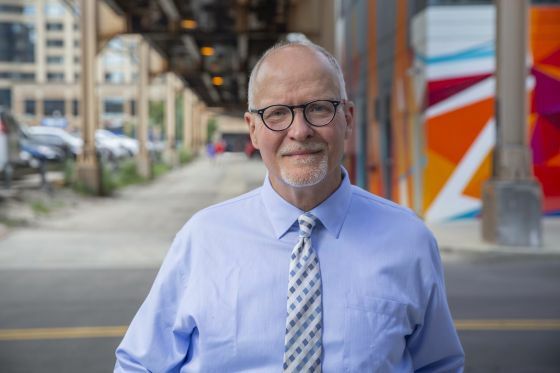 Vallas is running against a number of candidates for mayor of Chicago. He has called on all mayoral candidates to release their tax returns and for any Ald. Ed Burke-backed candidates to withdraw from the race. Windy City Times: With so many candidates running for mayor, what makes you more qualified to hold this office than the rest of people in the race? Paul Vallas: No other candidate has the depth or scope of my management experience. I have managed 18 multi-billion-dollar budgets. As CEO of CPS, pursuit of equity framed my initiatives. I built 78 schools in poor neighborhoods, the vast majority of construction contracts were given to minority and women-owned businesses. I had the guts to challenge Rahm Emanuel and I am not part of the Chicago pay-to-play culture. WCT: How will your previous role as Chicago Public Schools CEO inform how you approach education issues? PV: CPS is shrinking again, having lost 70,000 students since my departure. CPS prospered during my tenure because we stabilized finances, brought leadership continuity to individual schools, transformed schools into education and community service centers and dramatically expanded high-quality school options within neighborhood schools. I will adopt this strategy to reverse the system’s decline and improve schools. WCT: Do you back an elected school board? Where do you stand on neighborhood schools versus charter schools? PV: I believe Janice Jackson is well-qualified to be the head of CPS. I want a hybrid board that includes members elected from Local School Councils and appointed members. The mayor should have some direct appointed powers, because there needs to be experts on the board. Charter and public schools should be funded equitably and held to the same standards. WCT: What is your vision for the LGBT community? PV: As Chicago’s budget director and CPS CEO, I put domestic-partner benefits in all the city contracts. I supported marriage equality on record since 2001. My approach has always been to embrace and support the LGBT community and let my actions speak louder than my words as I fight for rights and services for all Chicagoans. WCT: Would you advocate for mandatory LGBT-inclusive education in Chicago Public Schools starting in middle school regardless of what happens on the state level? WCT: Are any of your campaign staffers/volunteers openly LGBT? WCT: What is your position regarding funding for HIV/AIDS treatment and education? PV: I will build my budget to give every area of the city access to the resources they need, including HIV/AIDS treatment and education. WCT: How will you address the city’s continued infrastructure problems? Blighted and underserved areas? PV: I have a number of solutions, including: take full advantage of the Federal Opportunity Zone program to raise capital for Chicago’s 133 opportunity zones, allocate one-third of TIF revenues to an investment fund to make capital and infrastructure investments in poor communities, invest cannabis and gambling revenues into a community-based social service infrastructure across the board, remove obstacles for landlords to convert unimproved space on their properties into garden units, create a Chicago Housing Trust to take the estimated 50,000 vacant properties and give them to community-based organizations and to provide vulnerable people with living space and services. WCT: What is the ideal minimum wage for the city of Chicago? PV: We should pay people a livable wage and make it gradual, so businesses do not leave. Some smaller businesses should be offered tax offsets so they can pay their employees more and not struggle as a result. WCT: How would you address the budget shortfalls that do not include additional regressive taxation? PV: I presented a comprehensive financial plan to solve Chicago’s financial crisis, fully fund the pension system and permanently cap property taxes, fees and fines. My budget will allow for fully funded pensions without reduced benefits and no regressive taxation through revenue sourcing, a fair share state plan and city expenditure reductions of at least five percent. WCT: What are your recommendations for better relationships between the police and citizens they serve, including people of color and the transgender community? PV: I will restore beat integrity to ensure officers are in districts where they are familiar and are familiar with them, rebuild the supervisory infrastructure, provide redundant and comprehensive training, limit the merit promotion system, create a pipeline of first responders drawn from Chicago high school ROTC programswhich serve 10,000 students a year, 90 percent of whom are Black and Latinoto ensure first responders represent the community, open community health and wellness centers in each police district and work with the community, including the LGBTQ community. I will also increase number of officers, detectives and sergeants and increase redundant training. WCT: What kind of relationship do you plan on having with the city council, Gov. Pritzker and state legislators? PV: My 12 years spent working for the state legislature, most of those years for Dawn Clark Netsch, and my twelve years working as City Revenue Director, Budget Director and CPS CEO gave me the chance to foster good relationships with both the governor’s office and the legislature. I am confident I will get what Chicago needs and deserves.